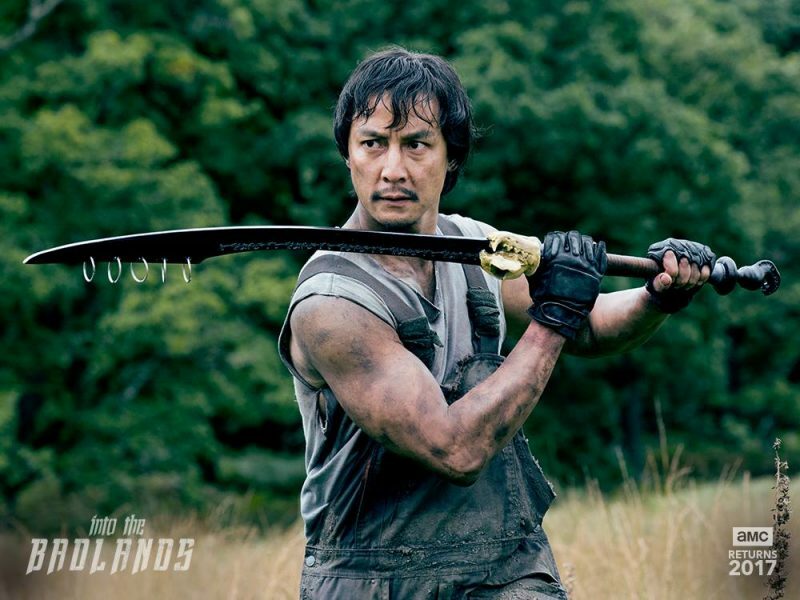 It looks like Into the Badlands season two is coming sooner than later. AMC has officially given Into the Badlands a premiere date of March 19th. They have also released the trailer. From the looks of the trailer, things are going to get interesting for our heroes. We last left Sonny (Daniel Wu) trapped on the River King’s boat and sold as a slave. In season two, we see Sonny’s life six months later, working in the mines. He escapes with the help of fellow slave worker Bajie (played by Nick Frost). Sonny is determined to find Veil (Madeleine Mantock) and their child who are in hiding from the barons. In the Badlands, we see new power has been established. Ryder (Oliver Stark) has taken over Quinn’s land and must battle against the Widow (Emily Beecham) and her Butterflies. Waldo (Stephen Lang) returns and it looks like he’s working with the Widow. As for MK, we see very little of him in the trailer. Season two of Into the Badlands returns March 19th on AMC.